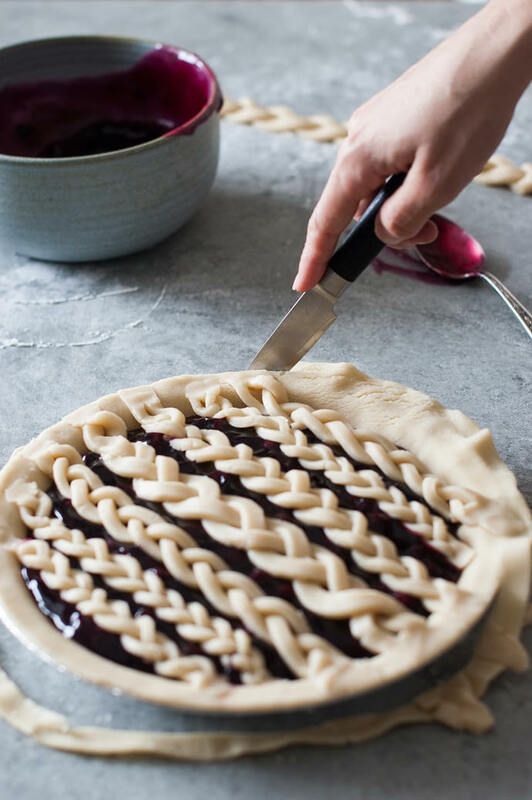 Pie might just be the most versatile dessert of all time. 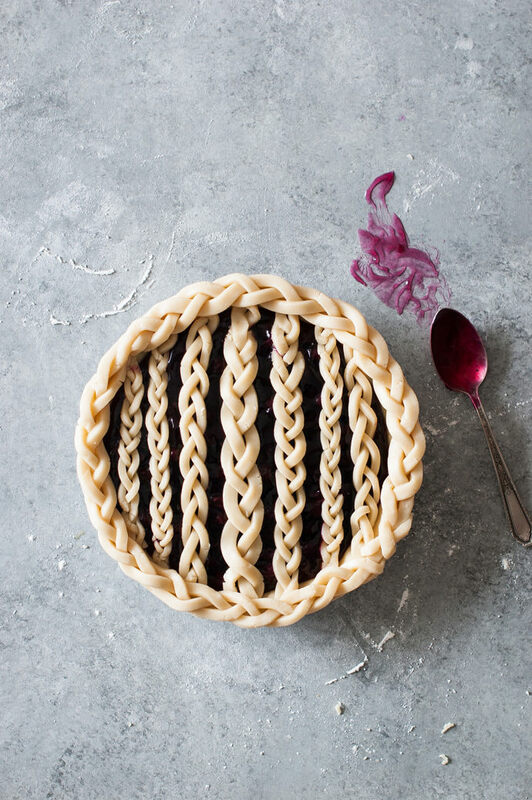 Not only can you fill them with whatever you like, but pie crust offers endless possibilities for creative expression. 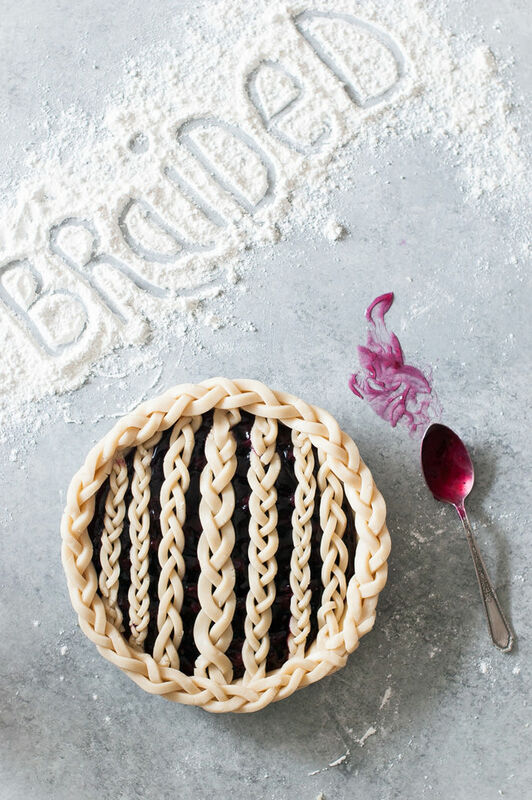 Here, we took a traditional braided pie crust and shook it up a little by alternating the thickness of the braids. Doesn’t it remind you a little of Rapunzel’s hair in Tangled? 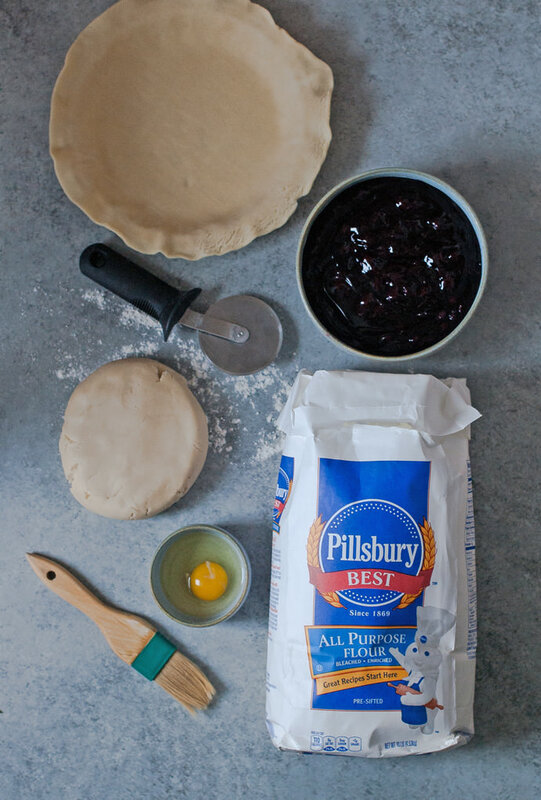 We made our pie a blueberry, but you can use any kind of filling you like! Divide the dough in half. Roll one half into a ball and place on a sheet of parchment paper. Dust lightly with flour and cover with another sheet of parchment paper. Roll dough into a ¼” thick round. 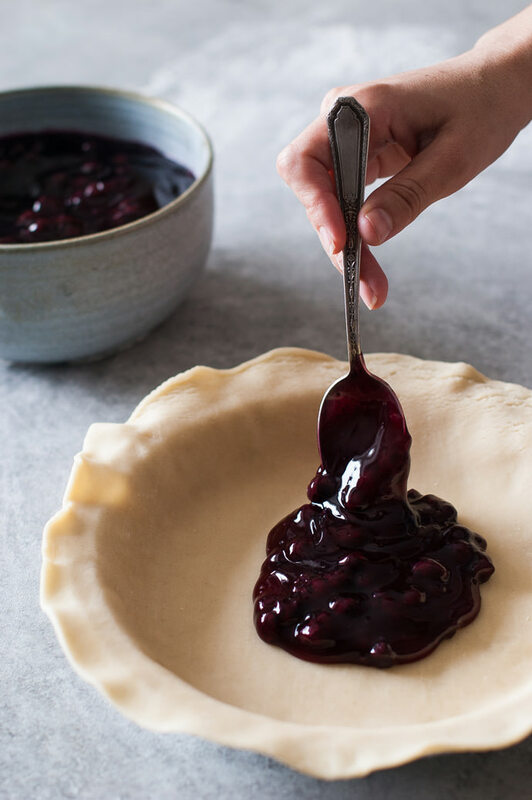 Cover pie dish with the round of dough, pressing dough gently into the dish. Place the other half of the dough in between two sheets of parchment paper and roll to a ¼” thickness. 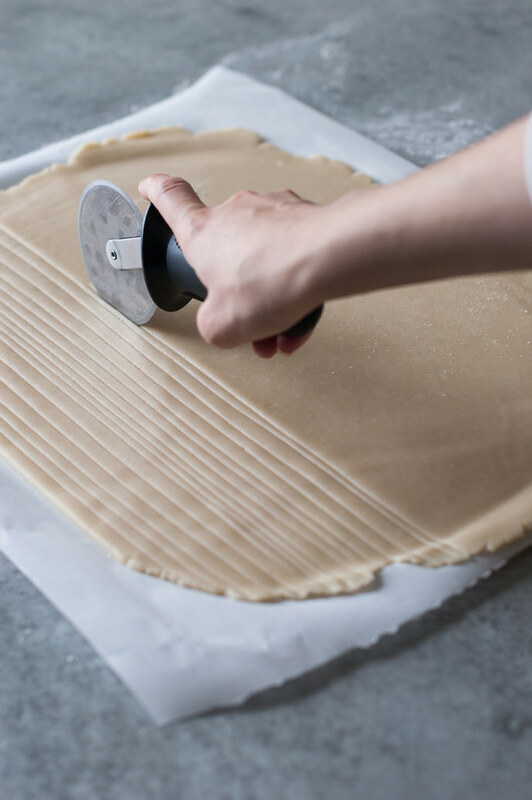 Using a sharp knife or roller cutter, cut strips of dough in varying thicknesses (keep thicknesses in sets or three), making some strips 1/8” thick, some 1/6” thick, and some ¼” thick. 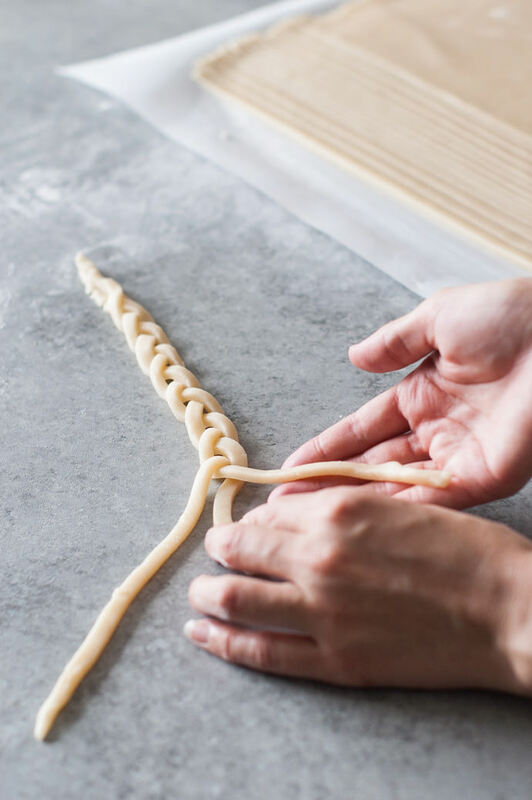 Taking three equally thick strands at a time, carefully braid them, pressing the ends together. 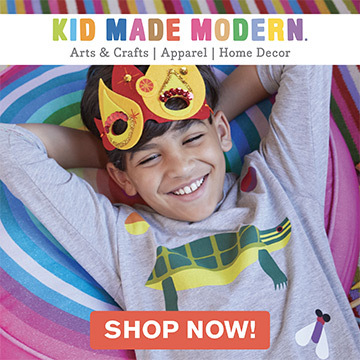 You’ll need 3-4 thick braids, 2-3 medium braids, and 2-3 small braids. Pour your pie filling into the dough covered pie dish. 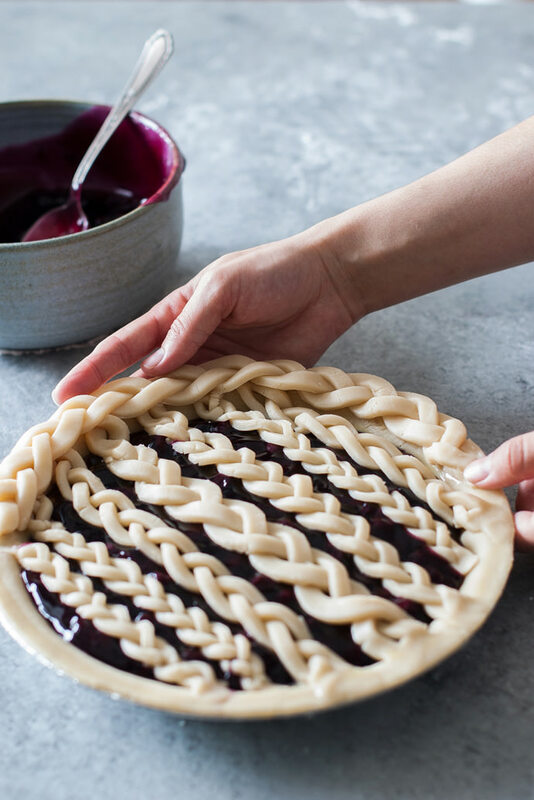 Place braids across the pie filling, alternating thickness of braids. 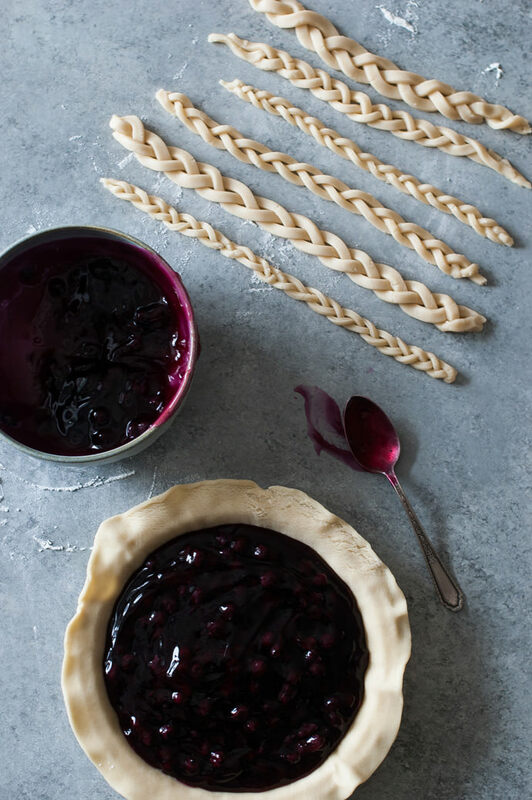 Press the ends of the braids into the dough around the sides of the dish. Cut the excess dough hanging off of the dish off with a sharp knife. Brush the sides of the dough with beaten egg. 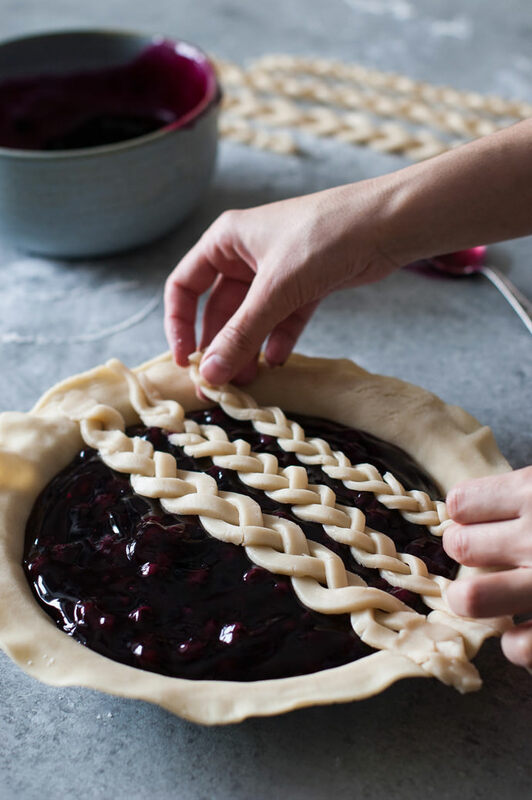 Place two thick braids around the sides of the dough, on top of the egg wash. Press down lightly to seal. 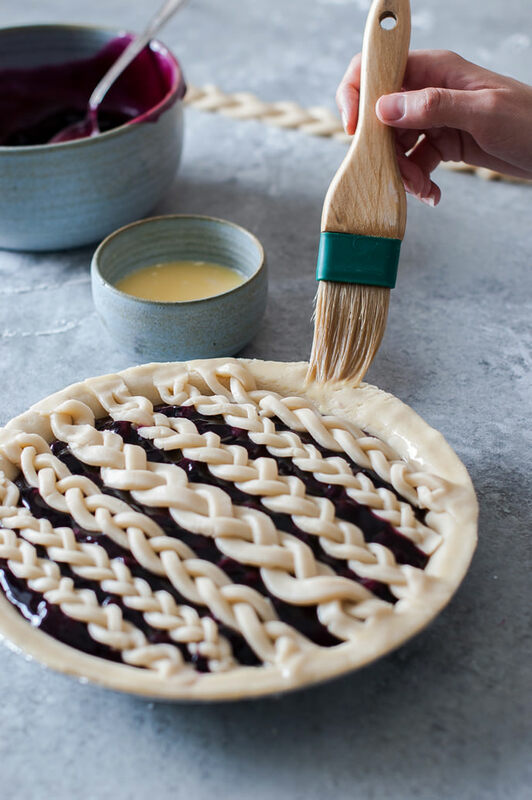 Brush the top of the pie crust with more egg wash.
Bake at 375 degrees on the middle shelf of the oven for 45 minutes. Move to the bottom rack of the oven and bake an additional 10-15 minutes (filling should be bubbling). Remove and let cool before serving.